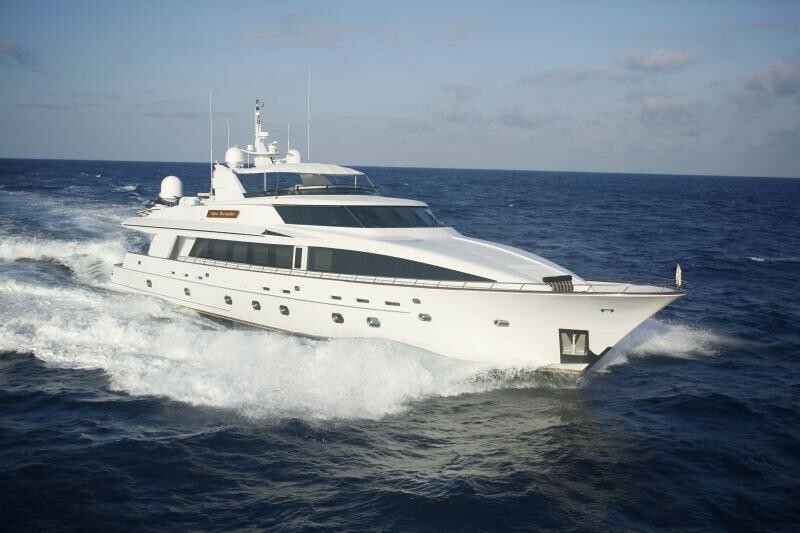 Motor yacht OCEAN CLUB (ex Aspen Alternative, Chairman) is a yacht measuring 36,58m (120’), built by Sovereign yachts in 2002 and designed by Patrick Knowles. 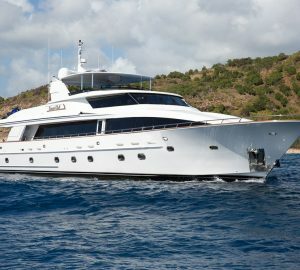 M/Y OCEAN CLUB able to accommodate 9 charter guests overnight. 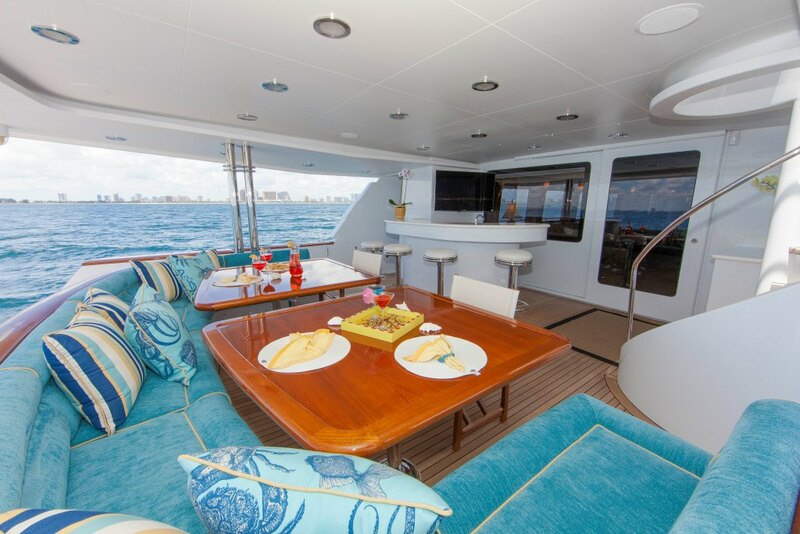 Luxury motor yacht OCEAN CLUB has a beautiful salon with a Large sofa and loveseat, ottoman, leather game seat chairs and table and a wet bar with Corian counter top. 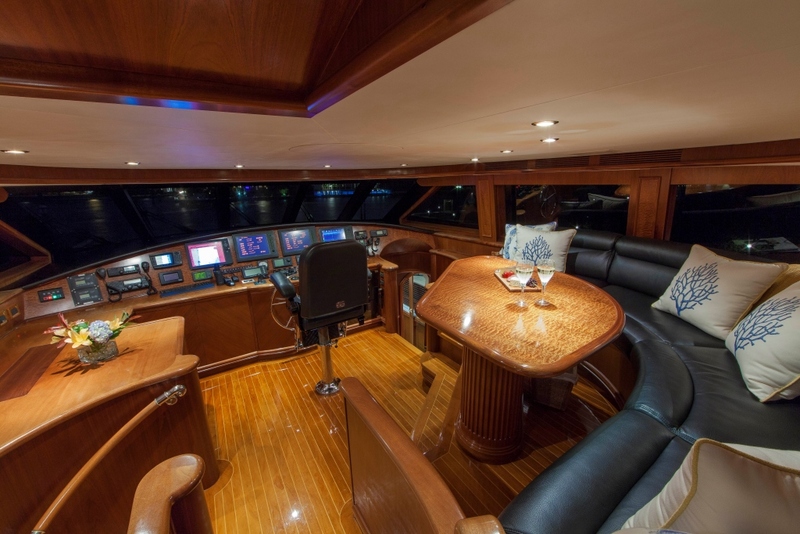 There is a full entertainment system with a Fujitsu 49”plasma TV, VHS, DVD Panasonic audio/video/CD changer home theatre system. 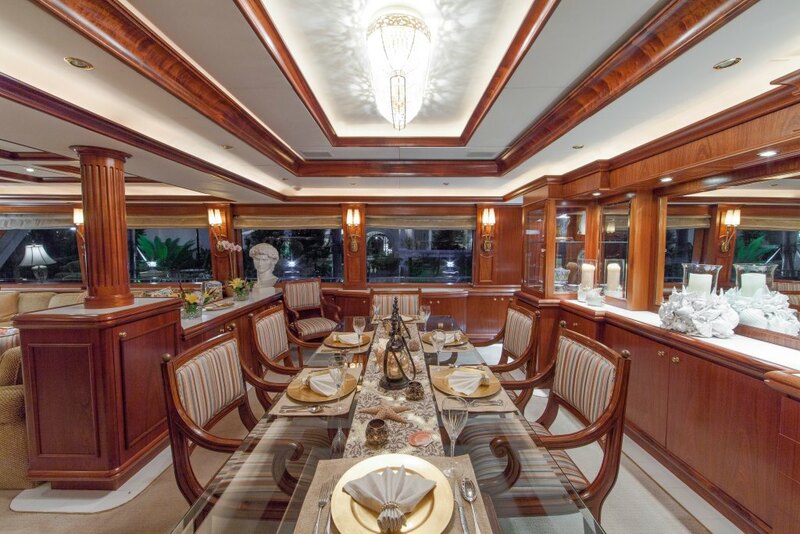 Further forward and adjoining the main salon is the formal dining area. 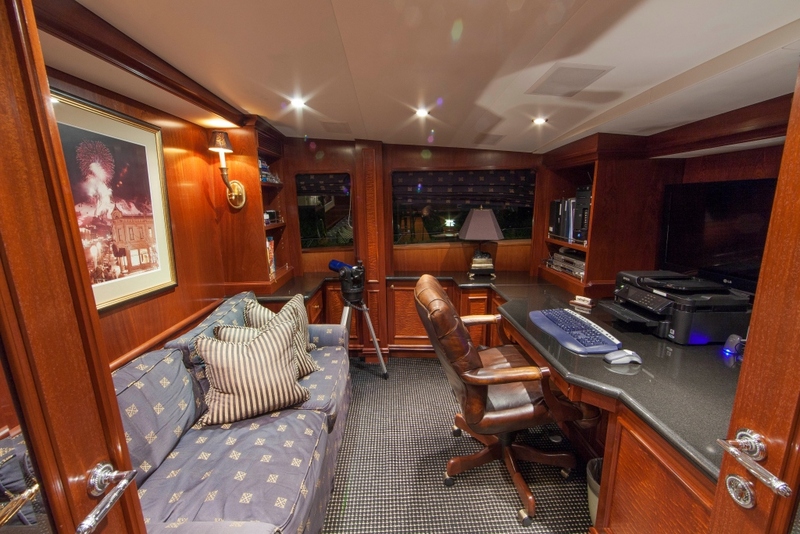 The office area located forward on the main deck is sound-proofed for privacy and features a couch, built-in desk, Aquos Sharp 29” plasma TV, DVD and CD changer home theatre. 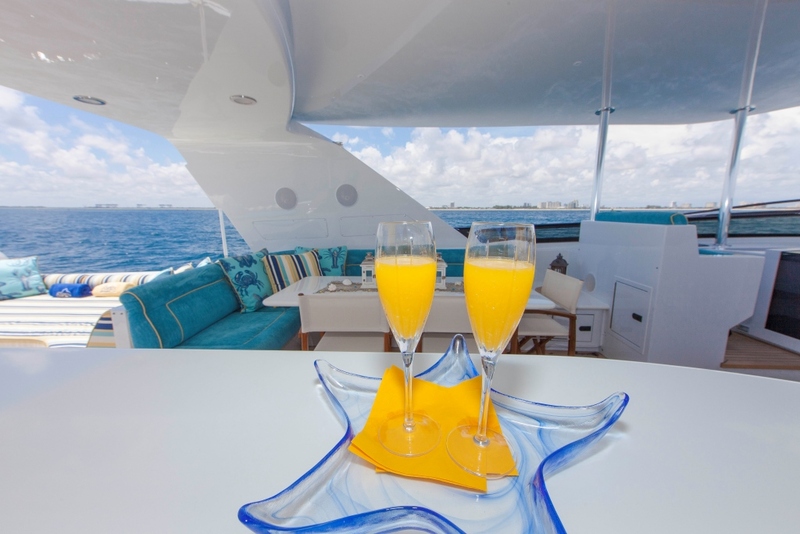 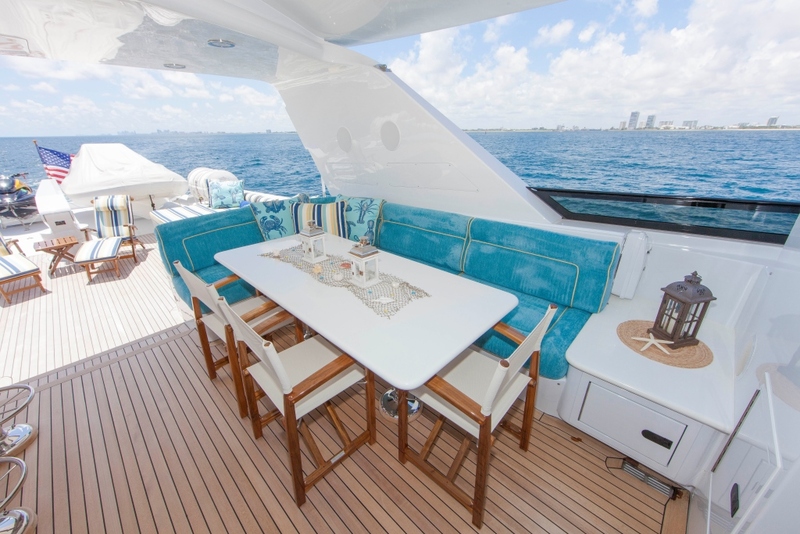 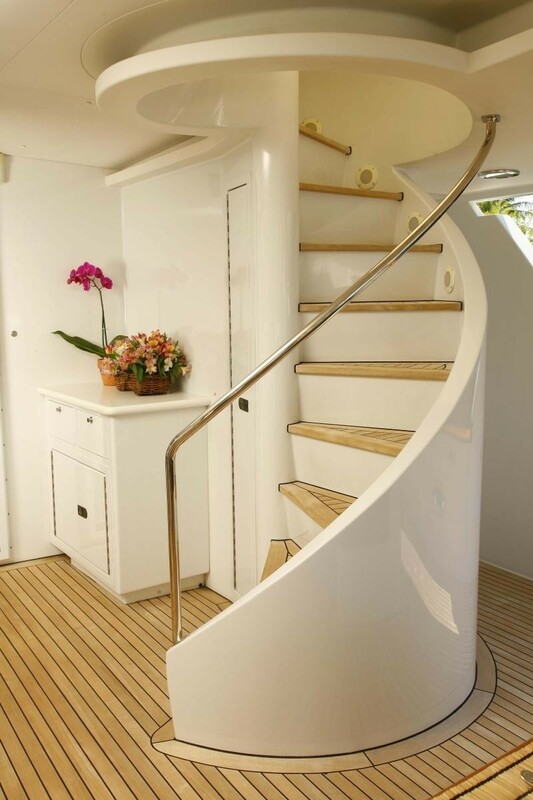 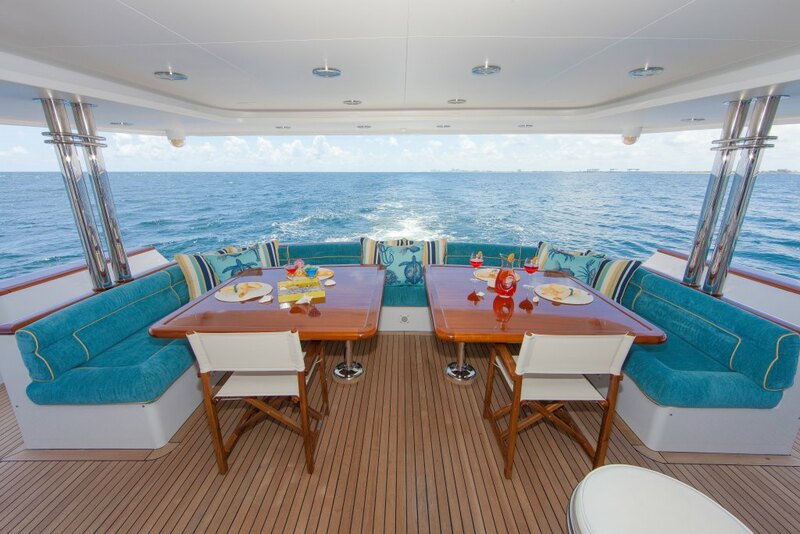 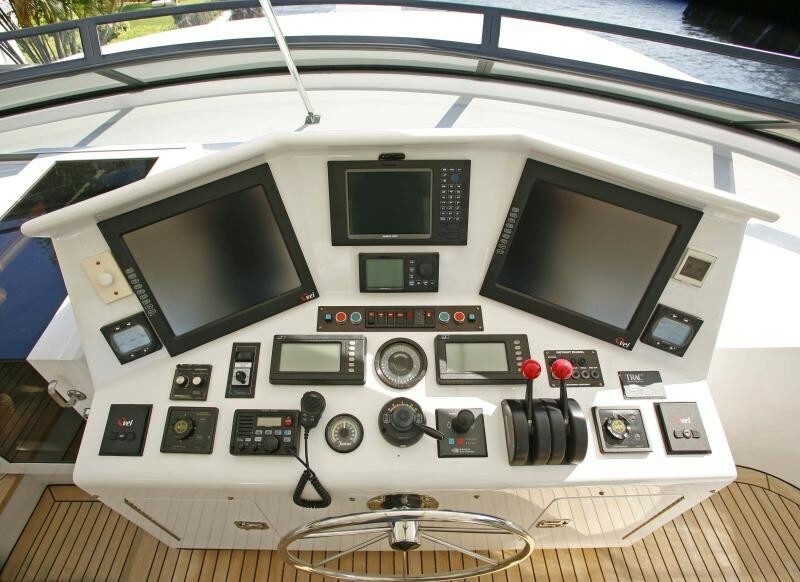 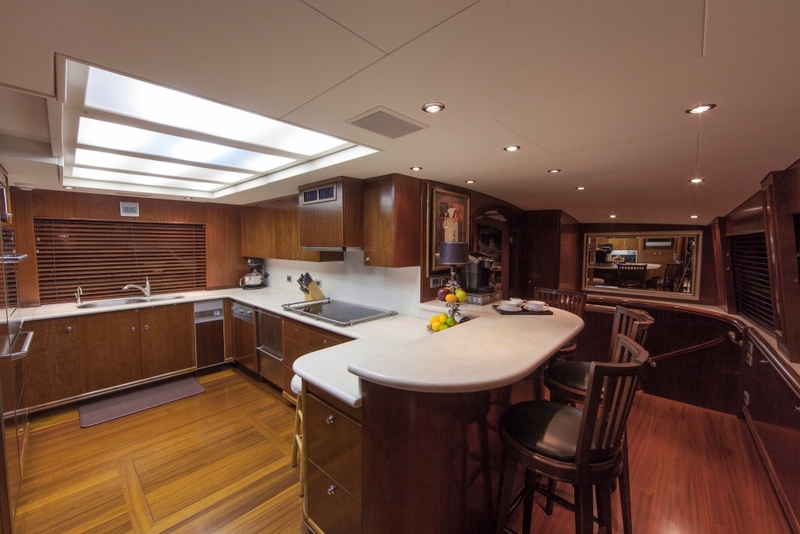 The yachts’ Galley also boasts a Fujitsu 22” plasma TV and a built-in espresso machine and casual bar-style seating. 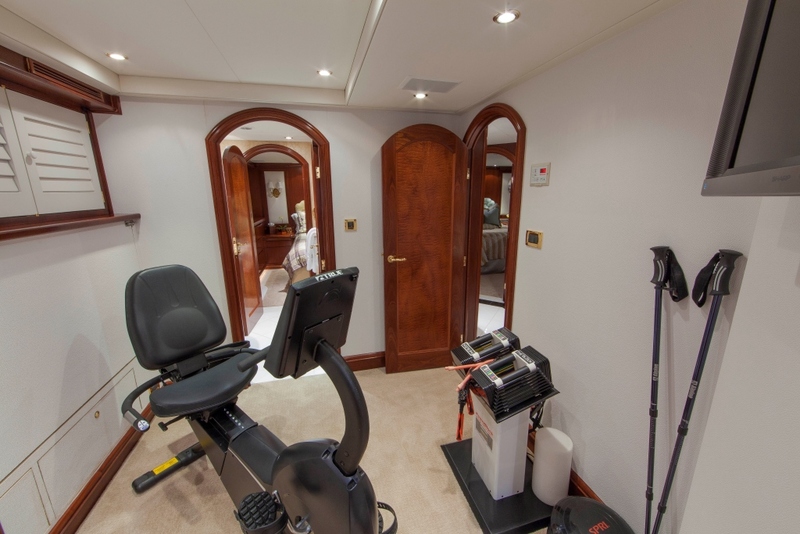 The Gym on motor yacht OCEAN CLUB is situated on the lower deck and has a Fujitsu 21” plasma TV, fold-down pullman berth and an elliptical exerciser. 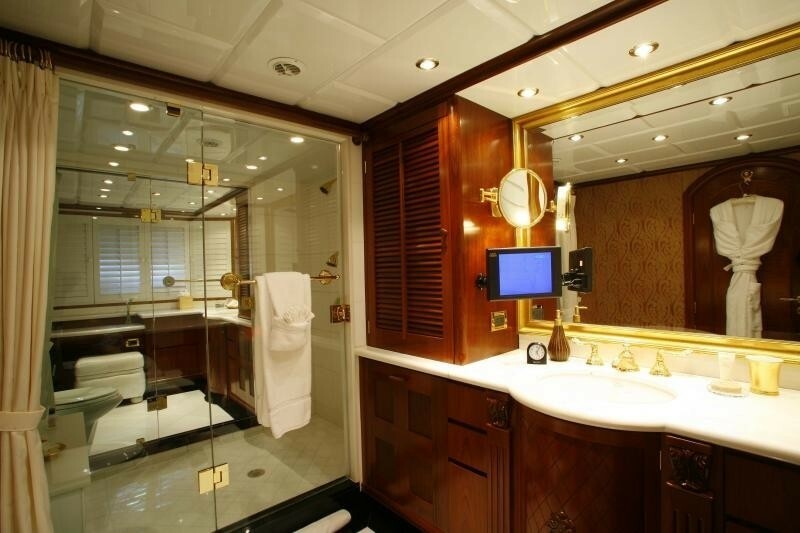 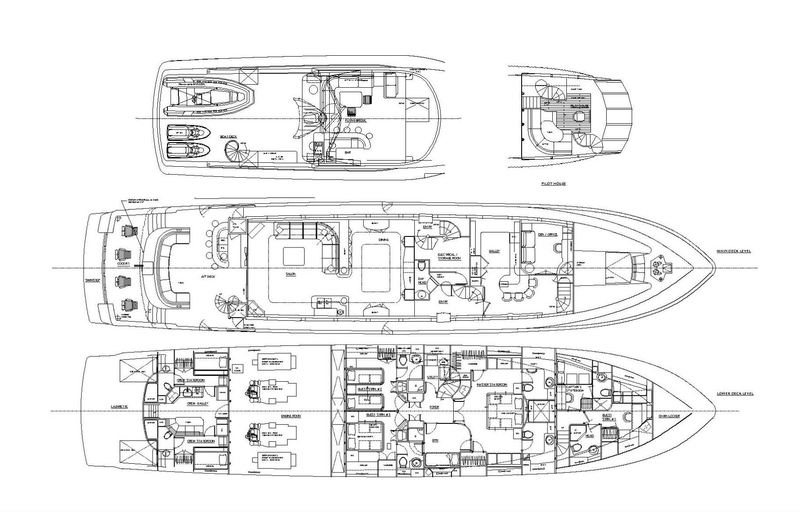 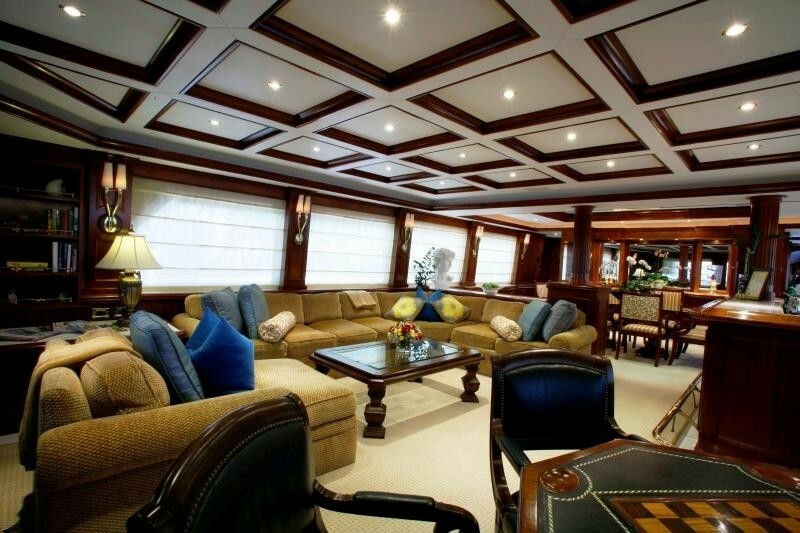 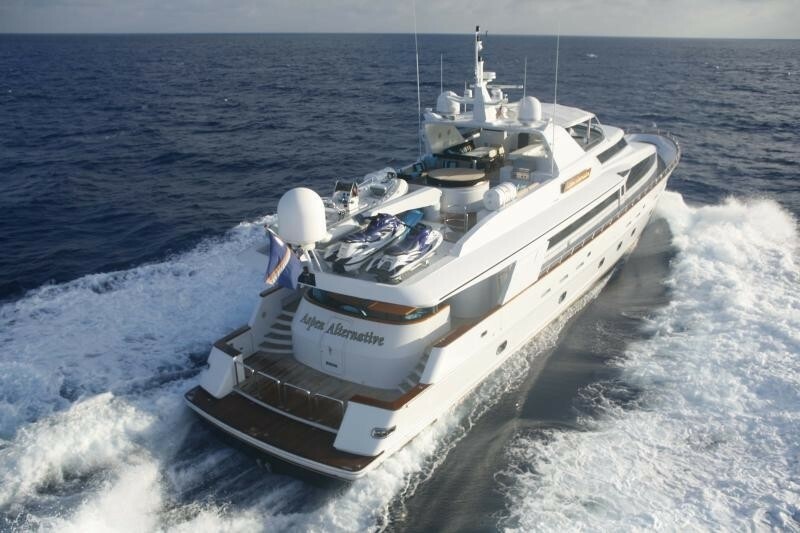 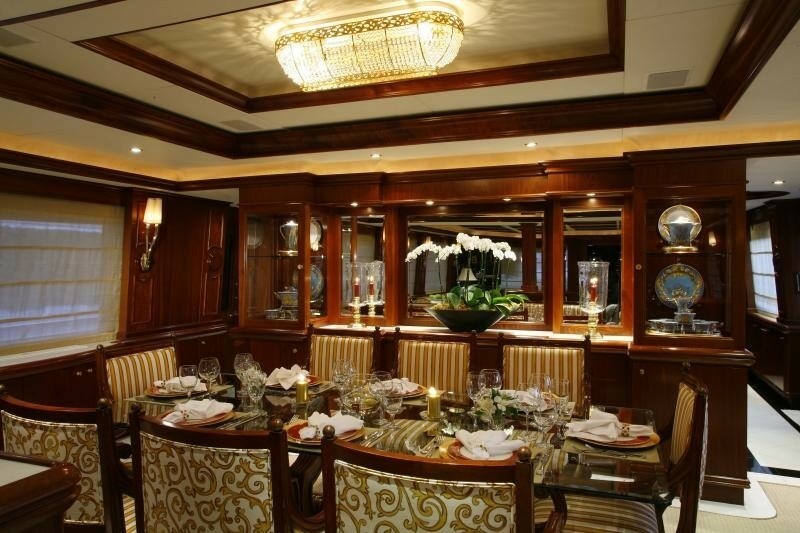 Sovereign motor yacht OCEAN CLUB is able to accommodate 9 guests in 5 cabins. 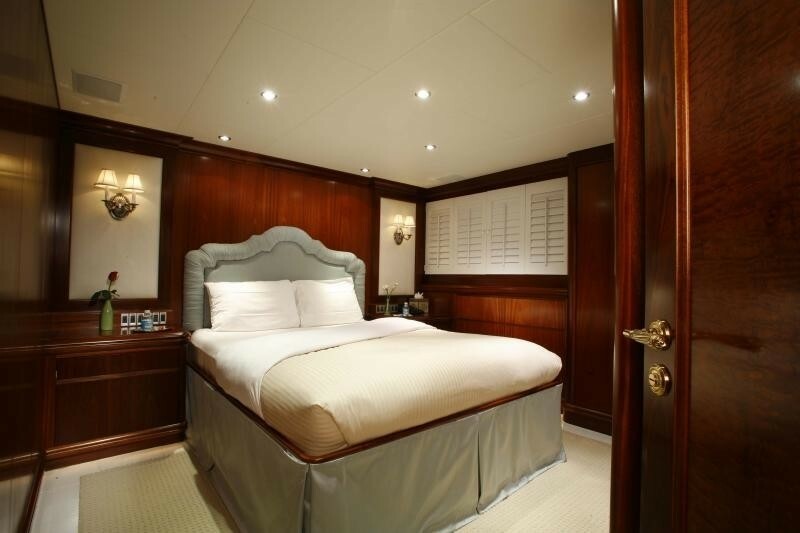 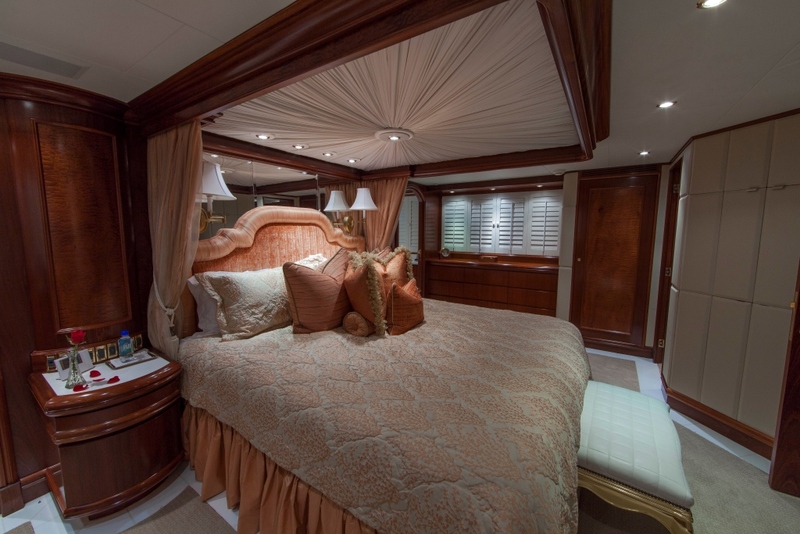 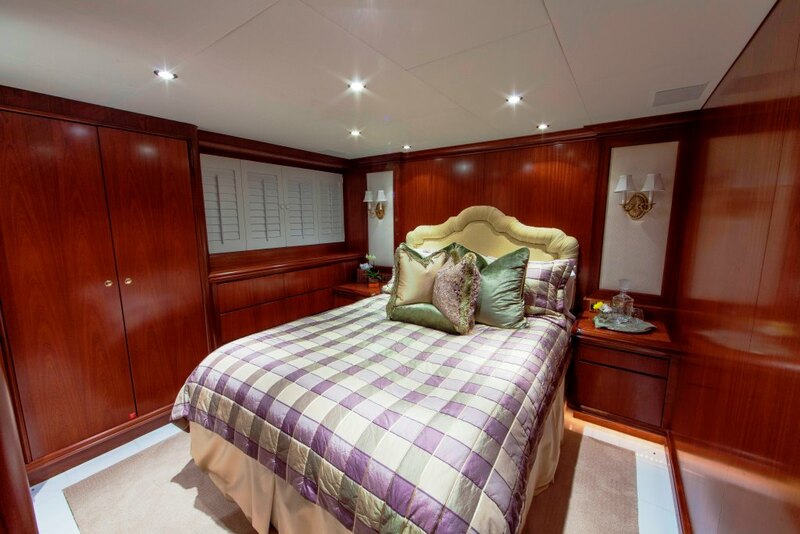 Her master cabin located forward offers a King size bed. 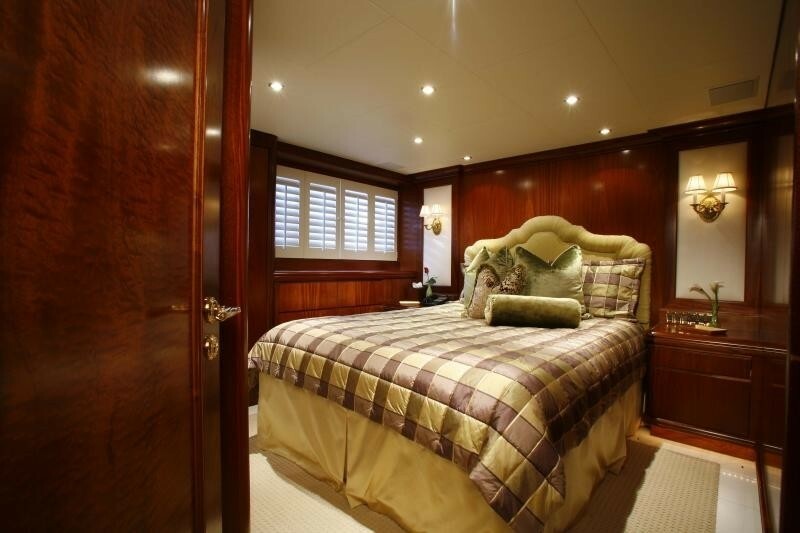 There are two guest staterooms below deck to port and starboard that feature a Queen bed and further guest cabin is located forward with a double bed, ensuite head with shower. 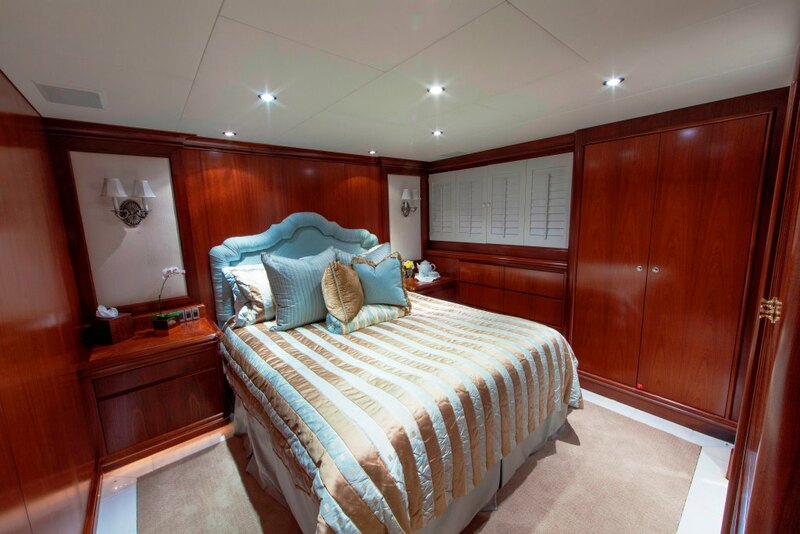 The fifth cabin is adjacent to the master and offers a single bed, it has shared facilities with the double bed cabin. 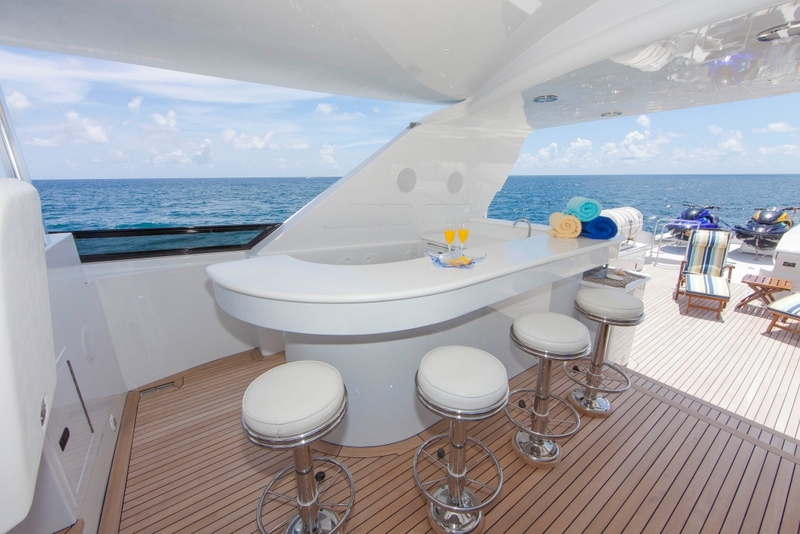 Sovereign motor yacht OCEAN CLUB boasts great outdoor areas including a large aft deck with a U shaped settee with 2 tables. 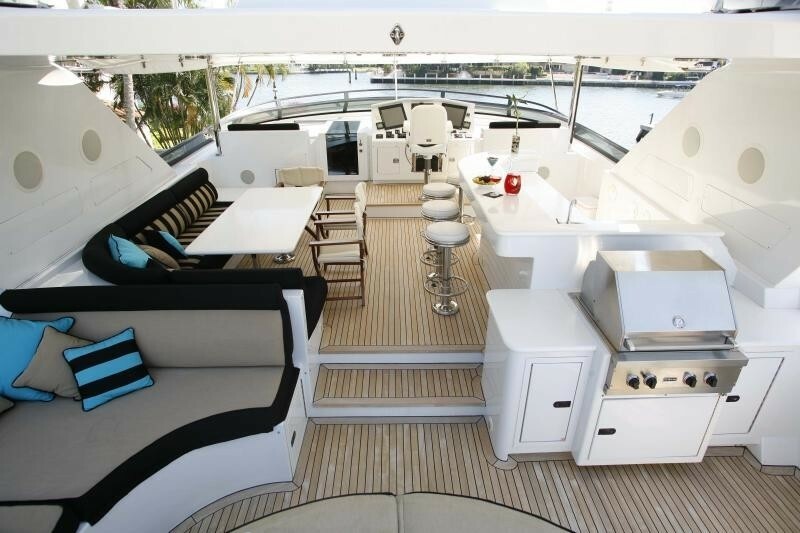 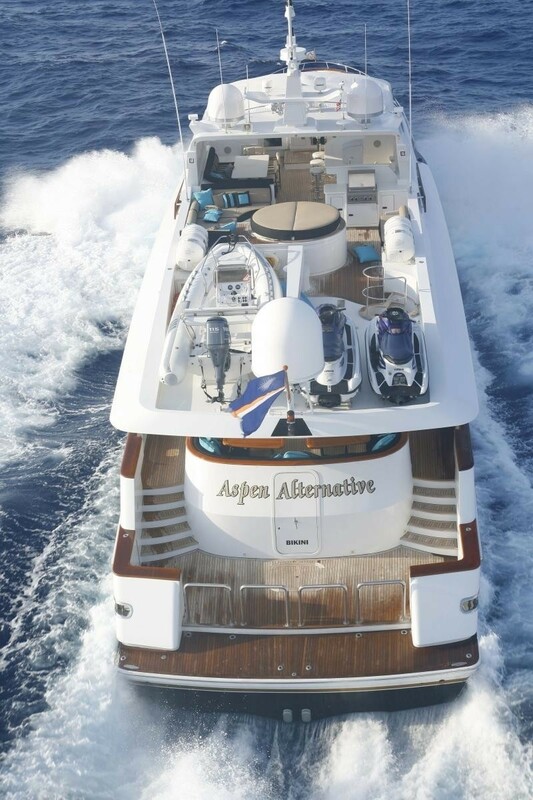 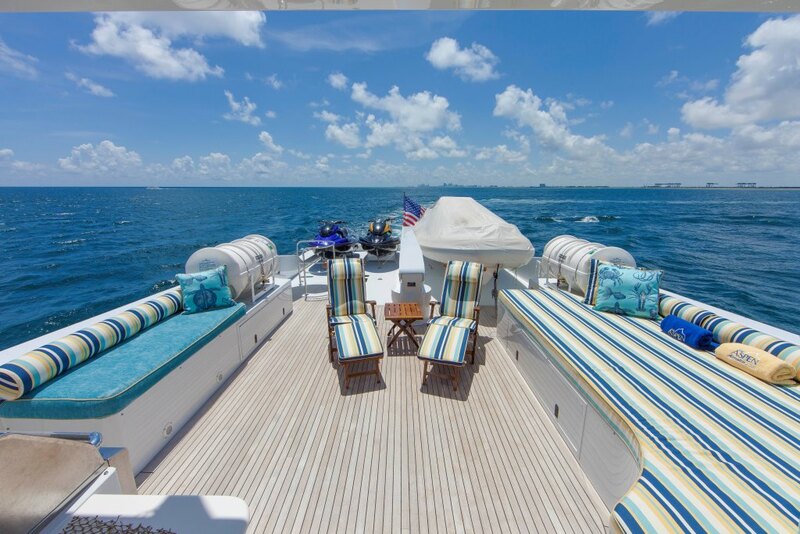 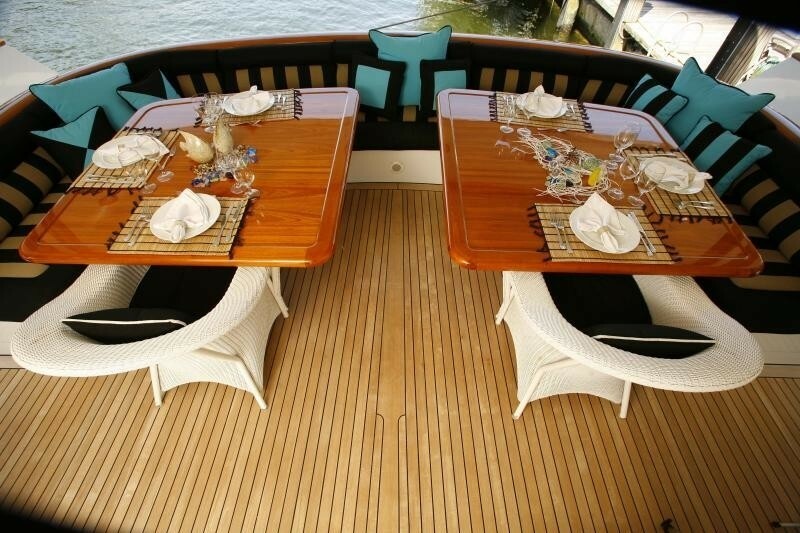 The aft deck has a Fujitsu 49” plasma TV, wet bar with 5 stools and Corian counter top, icemaker and refrigerator. 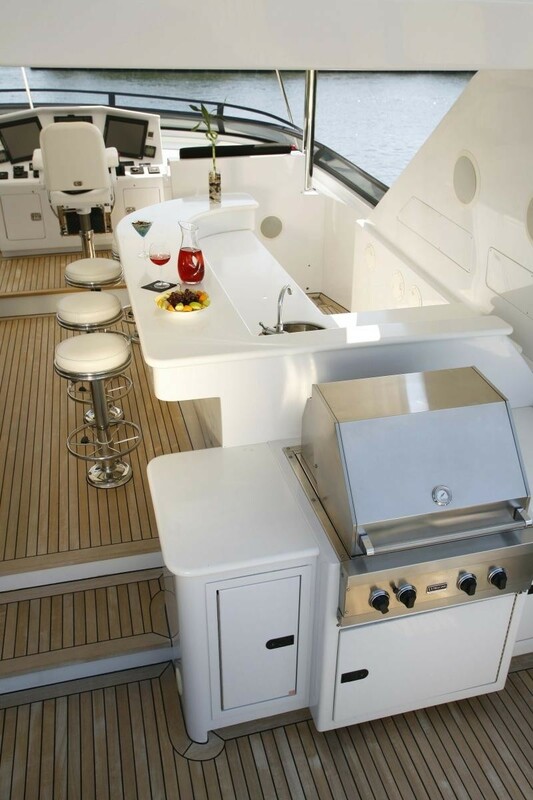 The upper deck also features a Wet bar with 4 stools, a U-shaped dinette great for al fresco dining, sunpads, and a centerline spa pool, rotisserie and grill. 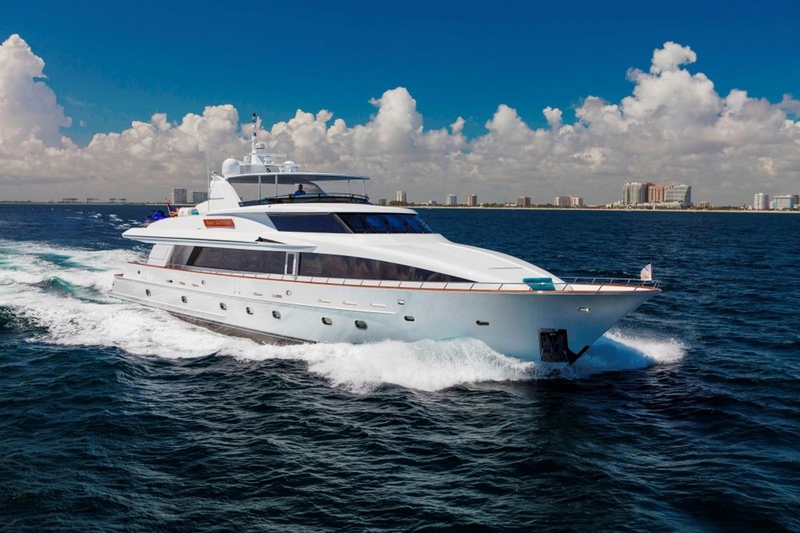 Motor yacht OCEAN CLUB is able to cruise at 19knots with a top speed of 23 knots. 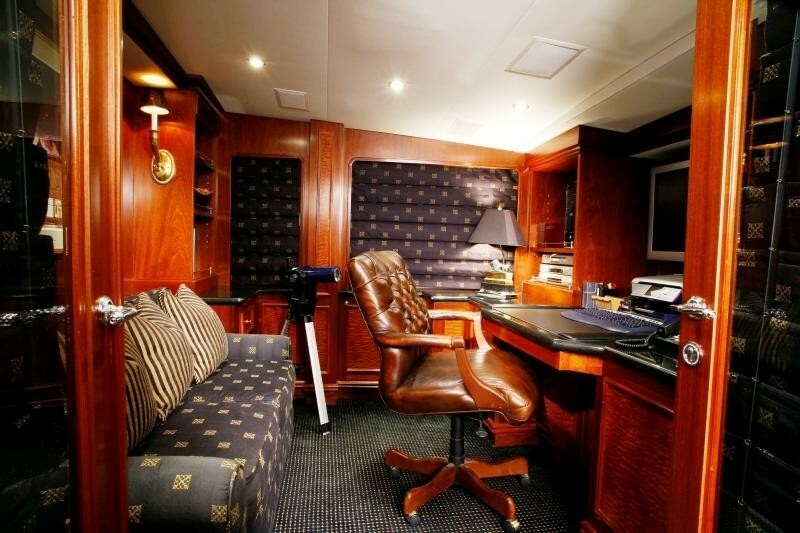 She features 16 square foot Trac stabilizer's . 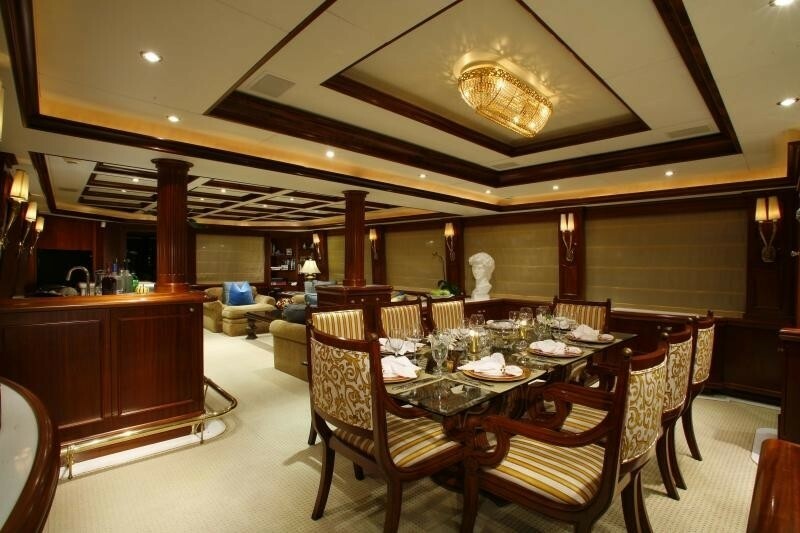 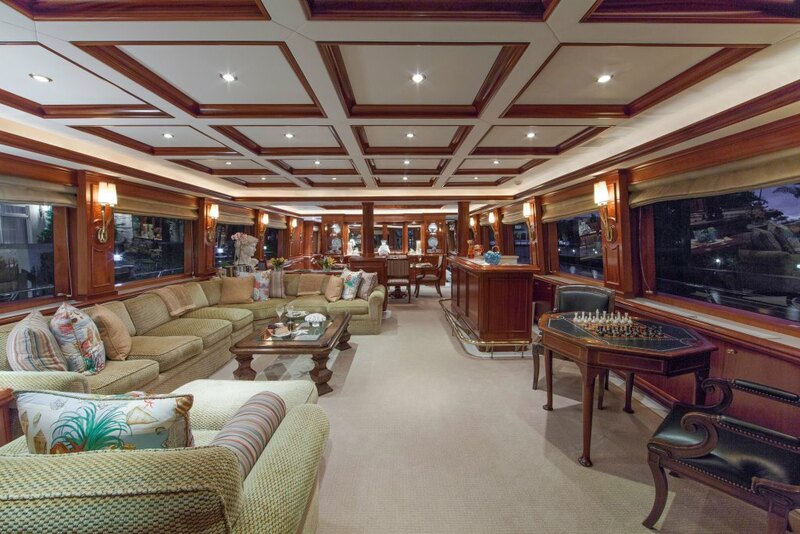 Sovereign motor yacht OCEAN CLUB is able to accommodate 9 guests in 5 cabins. 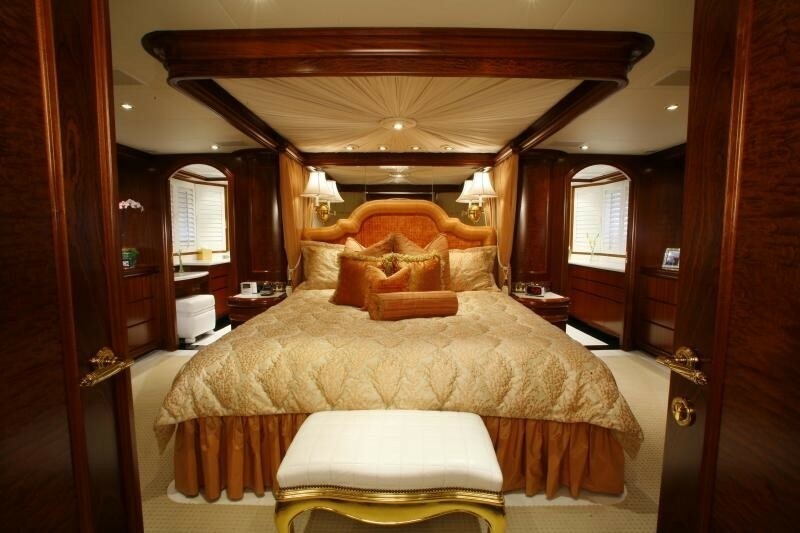 Her master cabin located forward offers a King size bed, dressers, entertainment center, Aquos Sharp 29” plasma TV, computer and VCR adapter Sharp Focus by SRS, DVD player with 5 disc changer, amplifier, Fujitsu 21” plasma TV, his/hers walk-in closets, bench, ensuite his and hers head with 2 person steam shower, and vanity. 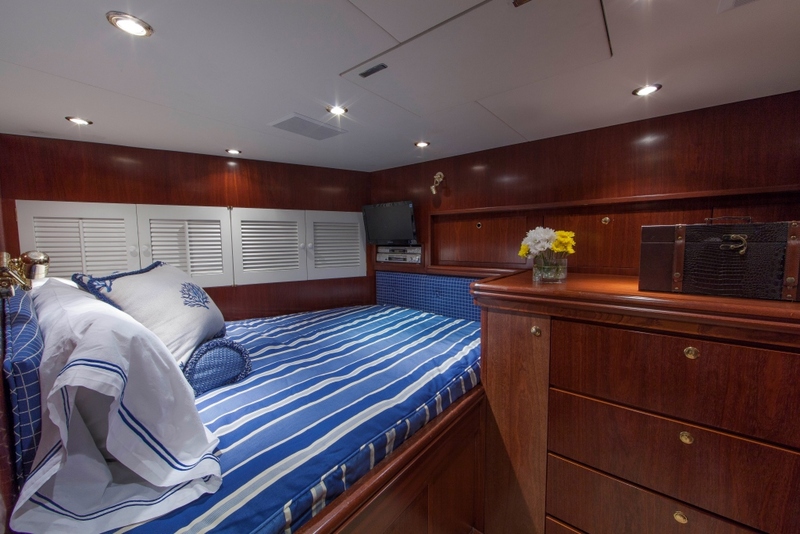 There are two guest staterooms below deck to port and starboard that feature a Queen bed with drawers beneath, entertainment center, JVC 20” TV, Panasonic DVD audio/video CD changer home theater system, ensuite head with shower. 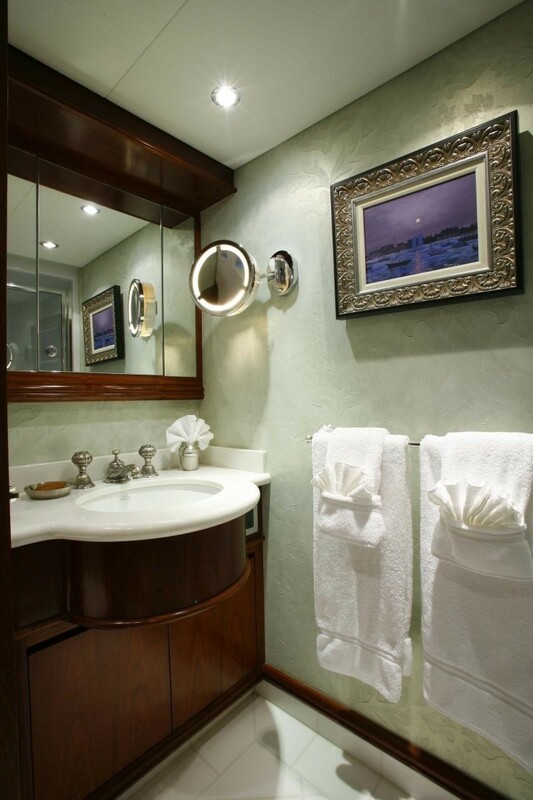 The fourth guest cabin is located forward with a double bed, Panasonic 15” displays, Panasonic DVD audio/video/CD changer home theater system, and ensuite head with shower. A single cabin is adjacent to the master cabin and shares the facilities with the double cabin.